Queen Elizabeth II celebrated her 88th birthday on April 21, 2015. Stills from an eight-decade-old video showing her practicing a Nazi salute as a young girl were published by a British tabloid, though the publication was criticized by a royal official. 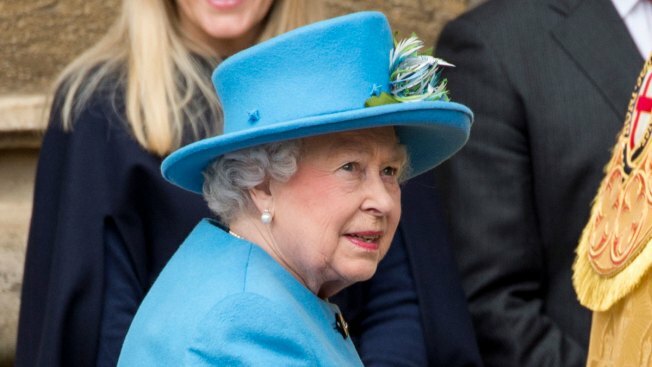 Royal officials in Britain expressed anger Saturday that archive film showing Queen Elizabeth performing a Nazi salute as a young girl in the 1930s had been "exploited" by Rupert Murdoch tabloid The Sun, NBC News reported. The nearly 80-year-old video shows the princess, aged about six, joining her uncle, Prince Edward, in raising an arm. Hitler was only just rising to power at the time. Prince Edward faced accusations of being a Nazi sympathizer, and later abdicated the British throne to marry an American socialite. The Sun defended its decision to publish the film, saying it was of "immense interest to historians" and would be seen in the context of the period. But a Buckingham Palace spokeswoman criticized it: "It is disappointing that film, shot eight decades ago and apparently from Her Majesty's personal family archive, has been obtained and exploited in this manner."